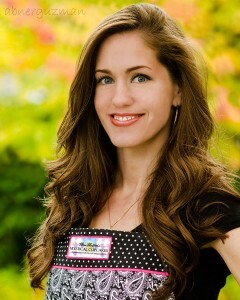 Two Olympia women will compete on a Food Network “Cupcake Wars” episode airing Saturday, October 12, at 8 p.m.
Rachel Young, owner of Miss Moffett’s Mystical Cupcakes, and her mother, Victoria Cunningham, will be one of four mother-daughter teams vying to win $10,000 and to have their cupcakes featured at an L.A. Bridal Bash event. Young and Cunningham will host a viewing and tasting event in the Olympia area at 7 p.m. at the Lacey Community Center Tuesday, October 15. A second event in Lewis County will be held at 7 p.m. at Picasso Brothers Café and Espresso in Centralia, Thursday, October 17. Guests will have the opportunity to taste the cupcakes that Young and Cunningham baked on the show and interactively watch the “Cupcake Wars” episode, pausing before the judges’ comments for the audience to judge the cupcakes for themselves. “It was definitely a surreal experience while in Los Angeles taping the show,” Young said. Although they taped the episode in June, Young and Cunningham could not release the news until a week before airing, per the network’s requirements. They submitted their video audition tape for “Cupcake Wars” in April and were notified two weeks later that they would be flown to Los Angeles to compete. “The competition was intense, definitely intense,” Cunningham said. The audition video can be seen on YouTube. “We posted and sent the audition video to ‘Cupcake Wars’ and kept our fingers crossed. We had no idea it would be so soon that we would hear back from them,” said Young. Young has been baking her cupcakes for two years, experimenting and researching to discover what she describes as the perfect cupcakes. Her muse is her great-grandmother, Rachel Moffett, for whom she was named. The name and idea for her business came to her during a sleepless night. “I became obsessed with cupcakes and literally could not sleep because I was doing my research and experimenting with recipes,” Young said. 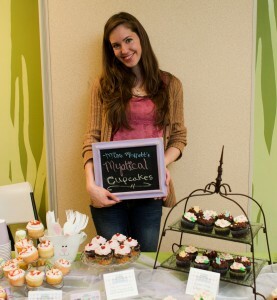 After one and a half years of baking for friends and family, Young licensed her business in March of this year. 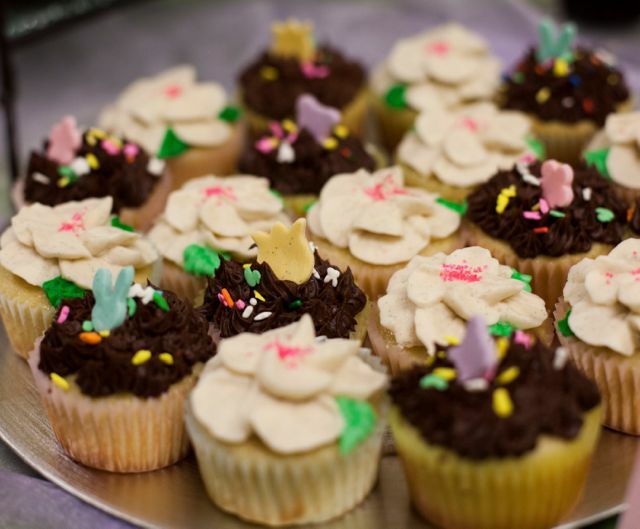 Miss Moffett’s Mystical Cupcakes is currently an online cupcakery that also sells their cupcakes at Paprika Café in Olympia, and Picasso Brothers Café and Espresso in Centralia. The goal is to have her own storefront in early 2014, Young said. Tickets for both the Lacey and Centralia tasting and viewing events cost $8, which includes a reserved seat, four mini cupcakes and a beverage. For more information about purchasing tickets, contact Young at rachel@mysticalcupcakes.com or visit their website at www.mysticalcupcakes.com.